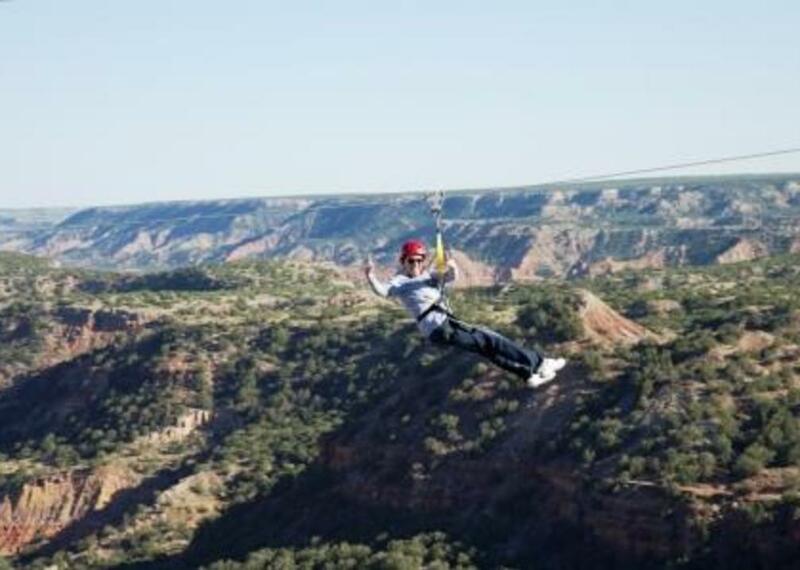 Enjoy the only zip line between Dallas and New Mexico as it crosses Palo Duro Canyon. Great thrills daily in the summer from 10 am to 6 pm. Winter operations may focus on the weekends. 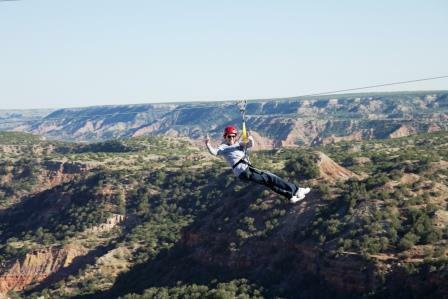 Special tandem rig lets adults travel the zip line with young children. 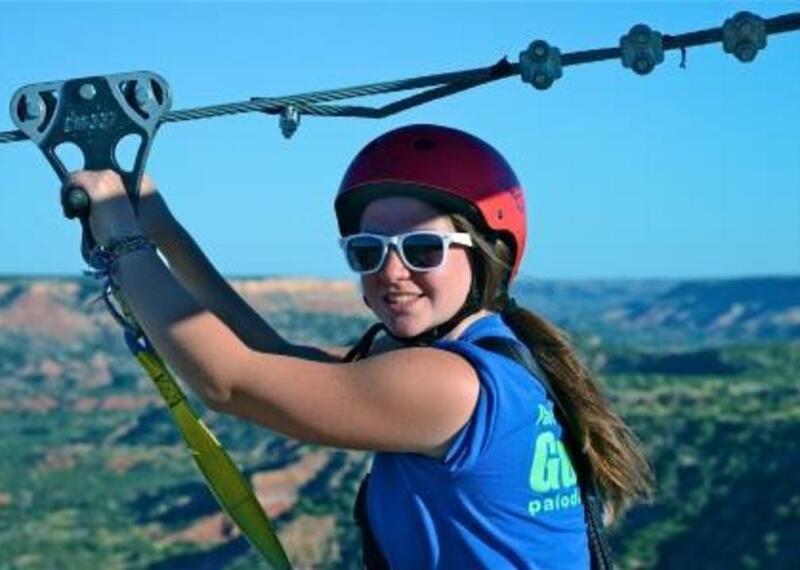 Fees are $25 per person; $39 to zip 3 times; $30 for tandem with a child under 60 lbs; and $65 for rappelling (Includes training). 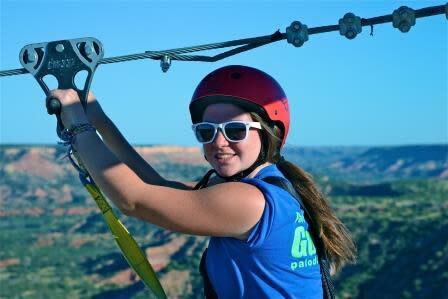 Check the Facebook page for special offers, such as moonlight zipping. 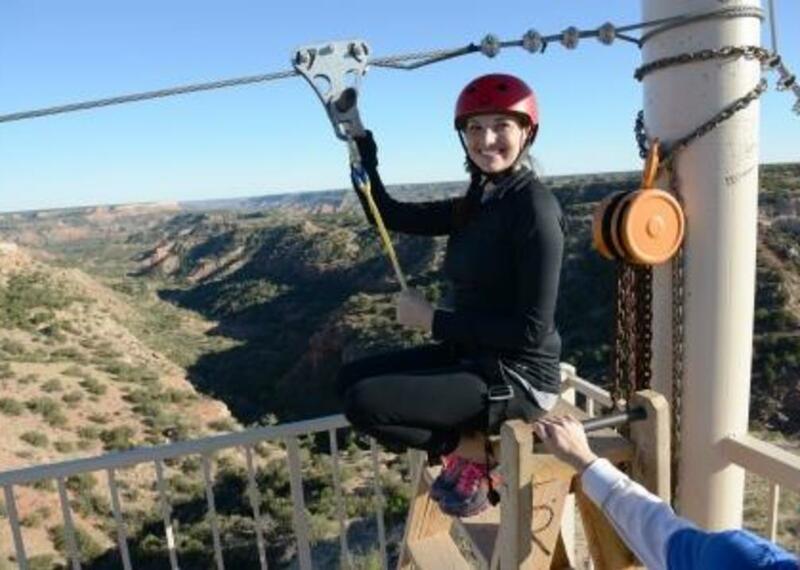 Also at Palo Duro Adventure Park are tent and RV camping, WiFi, restrooms and water hookups. 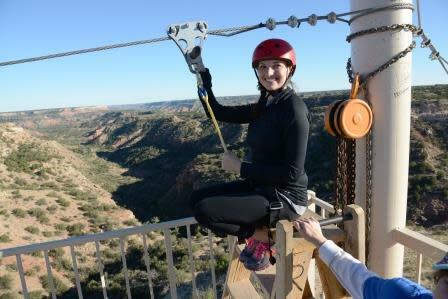 Or, camp in Palo Duro Canyon State Park with nearly 30,000 acres of outdoor excitement right next door.